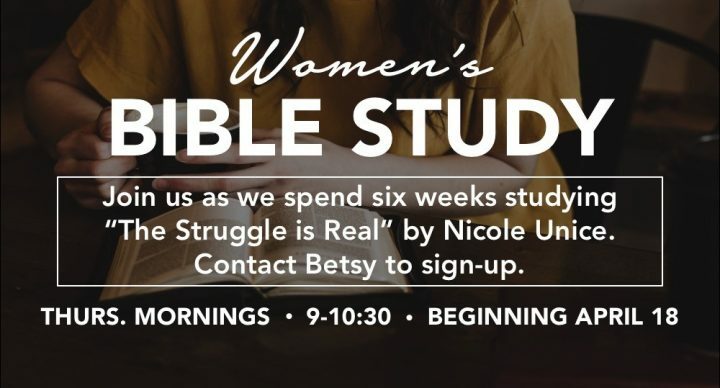 Join us for “The Struggle is Real” study for women by Nicole Unice. This study offers practical tools to help you navigate the daily ups and downs, and ways to rewrite your struggle into a new God-centered life story. This is a six-week study, meeting Thursday mornings from 9:00-10:30am, beginning April 18. Please contact Betsy Miedema at miedema@remembrancechurch.org to sign-up or for more information.